Dietz, C. , Kiefer, A. A comprehensive guide to the 45 bat species that occur across Britain and Europe, based on recent taxonomic advances and newly described species over the last few years. 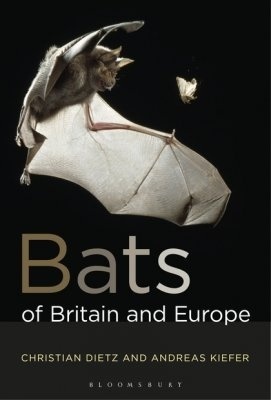 The extensive introduction details the remarkable biology of bats and explores the latest findings in bat evolution and echolocation. In-depth species accounts cover life history, conservation status and identification. Distribution maps and drawings accompany the text, and the book is illustrated with almost 700 breathtaking colour photographs. This unique reference is an authoritative field guide suitable for all bat enthusiasts, whether they are beginners, students, professionals or conservationists. Authors: - Dietz, C. , Kiefer, A.